McLaren refuses to hop on the SUV bandwagon that other supercar manufacturers have joined. The Lamborghini Urus may have the honor of being the first mass market super SUV, but it certainly won’t be the last. In the next few years, we’ll start to see more major supercar manufacturers succumb to the SUV bandwagon because the market is now simply too lucrative to ignore. , and . Even Lotus, a company renowned for making some of the lightest sports cars on the planet, is . McLaren, however, point blank refuses to be a part of the SUV craze. Speaking to in a recent interview, McLaren’s chief designer Dan Parry-Williams confirmed that none of the 12 cars the automaker plans to launch by 2022 will be an SUV. “I’m not the first person to point out an SUV is neither particularly sporty or utilitarian,” he said. “It’s not ‘everything for a reason’, unless the reason is to clutter up the streets,” he added in reference to McLaren’s ‘everything for a reason’ philosophy that helps make its cars minimalist in design. Of course, Ferrari previously denied any intention to join the SUV bandwagon, only to strongly suggest that an ‘FUV’ (Ferrari utility vehicle) is coming. 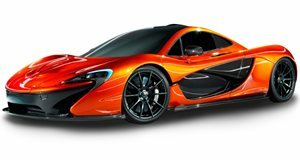 McLaren, on the other hand, has already confirmed that its upcoming new cars will fit into one of three model categories: the Sports Series which includes models like the 570S, the Super Series which includes supercars like the 720S, and the Ultimate Series which is where you’ll find hypercars like the P1 and Senna. We can also expect to see lighter models, hybrids, and a from McLaren in the future. The company also , so a McLaren SUV would seem hard to justify. It’s good to see at least one supercar manufacturer isn’t sacrificing its principles.